Some do. But not enough. As a CEO, if you’re not the driver of your brand you’re missing an opportunity to take your company to a place that precious few will ever go. You’re also robbing your employees (and yourself) of the most exciting passage of their careers. So why don’t CEO’s get it? Many people still think of ‘brand’ as their logo or the signage on the delivery vehicles. Try explaining that a brand is just a feeling to an engineer. And when enough people feel the same about you, then you’ve got a brand – after the Excel spreadsheet, the brand is arguably the most valuable business invention. Accountability for the brand is delegated to the Marketing Manager. In order to become a great brand, the brand values need to be delivered by every person and process in the company. Guess what will happen when the Marketing Exec asks the IT Exec to focus only on projects which enhance the brand experience. The brand is not a democratic process and accountability can only reside with the CEO. There is often a misunderstanding about the roles or rather, skillsets of Marketing and Brand. For many, the two are the same – just a question of semantics. Marketing is a structured, linear and left brain function. Brand is right brain, creative and looks to “connect” with behaviour, attitudes etc. They are poles apart. The two seldom meet, causing the deadly “brand gap” which claims so many aspiring brands (and Marketing budgets). The CEO’s job is to understand the differences and make sure that Marketing and Brand co-exist harmoniously. When you’re close to your brand you can feel it. You know, often instinctively, whether things are on-brand or off-brand. The brand DNA becomes ingrained in you and guides practically every decision, irrespective of whether it touches Marketing, HR, IT, Admin, Finance or wherever. 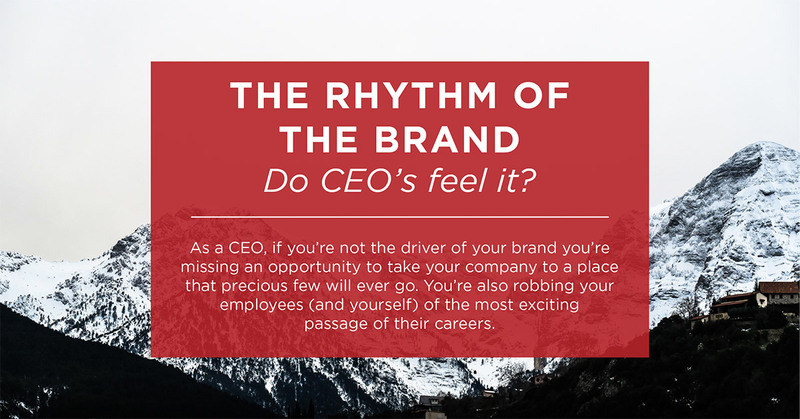 It is the job of the CEO to make sure that the entire company dances to the rhythm of the brand. Steve Jobs did it rather well.